I tipped Geelong to win the premiership this year, and I wasn’t alone – but in the end, they fell well short of taking home the cup. Every man and his dog will have their say this week on what the Cats should do next, and in today’s edition of my list breakdown series, I have mine. The Cats entered the year as the fourth-oldest and sixth-most-experienced list in the AFL, having been bumped up significantly by the recruitment of Gary Ablett and Stewart Crameri. Their selection policy was in line with their goal of winning now – they gave a below-average number of games to their players 23-and-under, 27 per cent. From this group they only acquired 23 AFLCA votes, the second-worst total of any side in the league – only narrowly ahead of Richmond (21), and way below the AFL average of 71. When you look at who makes up this group on the Cats’ list, it’s not hard to see why they’re struggling to keep pace with the rest of the league here. Jake Kolodjashnij, Lachlan Fogarty, Jack Henry, Brandan Parfitt, Esava Ratugolea, Quinton Narkle, Nakia Cockatoo, Jordan Cunico, Cory Gregson, Zach Guthrie, Charlie Constable and Gryan Miers are the key players here. Only one of them, Cockatoo, is a first-round draft pick, and he has been so stricken with injuries in his career as to play just two games this year and a total of 34 so far in his career (of a possible 94). Why is this group so barren? It’s because the Cats have invested draft picks that would otherwise have been spent on young talent of this age into trading for or drafting players in a more mature age bracket. They put 58 per cent of games into players 24-29 this year, and earned 210 AFLCA votes from them – above average in both respects. Patrick Dangerfield, Mitch Duncan, Tim Kelly, Tom Stewart and Mark Blicavs form the most crucial members of this group, but they’re supported by the likes of Cam Guthrie, Sam Menegola, Scott Selwood, Zac Smith, Lachie Henderson, Daniel Menzel, Zach Tuohy, Jackson Thurlow, Jed Bews, Jordan Murdoch and George Horlin-Smith. Geelong have 20 players aged 24-29 on their list and of those 20, five – Tim Kelly, Tom Stewart, Sam Menegola, Ryan Abbott and Mark Blicavs – were recruited at a mature age, and seven – Rhys Stanley, Aaron Black, Patrick Dangerfield, Scott Selwood, Zac Smith, Lachie Henderson, Zach Tuohy – were brought in from opposition clubs. Going down this path has allowed the Cats to continue to regularly play finals at a time when ordinarily the club would be spending time outside the eight and loading up on draft talent, but has come at the cost of reducing their investment in quality youth. Finally the Cats put 15 per cent of games into their veteran players 30-and-over, which is about par versus the league average, but got a return of 112 AFLCA votes from them, which is well above average. Here they’re looking at Tom Hawkins, Joel Selwood (both 30), Harry Taylor (32) and Gary Ablett (34), all of them crucial members of the team. The Cats ultimately finished with 45 more AFLCA votes across the playing list than the league average, a good result, but the worrying thing for them is that their spread of votes is very much unbalanced, concentrated significantly more towards their older players than their younger ones, and suggesting they don’t have a lot to hope for in terms of organic improvement in the near future. There’s a few things on their wishlist. Position wise they could really use a quality ruckman – one who can provide excellent service to their star-studded midfield and save them having to constantly re-evalutate who their first choice option here is. Small forwards of more prolific quality to work around the feet of Tom Hawkins would be good, and even with the star quality they boast, every team could use a little more midfield depth. In terms of age their need is obvious – they seriously lack young players of an elite quality of talent. Much like their playing list overall, the Cats’ on-field sides this year were typically older rather than more experienced. They fielded 2134 games of experience on average, about 100 games more than the AFL standard, and were eighth in the league here. Meanwhile their side was the sixth oldest on average. They finished the year in eighth, eliminated in the first week of finals, with 13 wins and a percentage above 130. Verdict: About even. 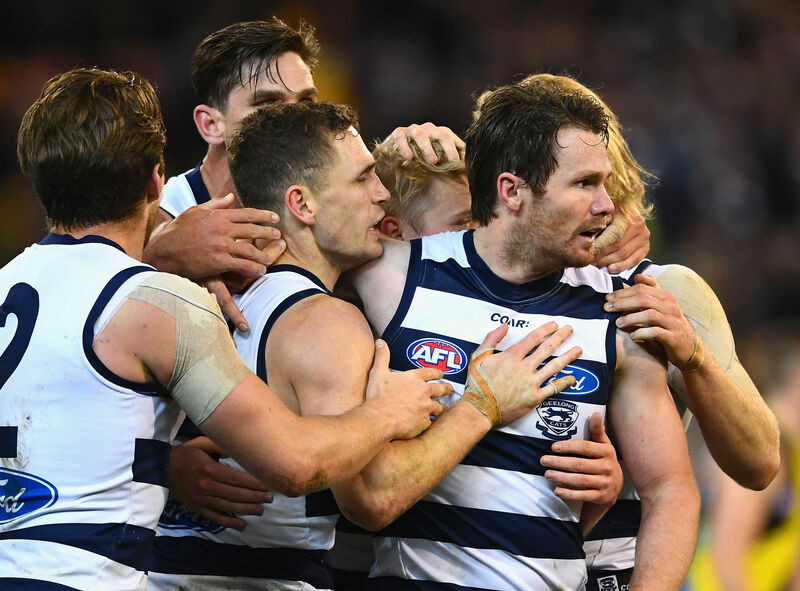 The Cats arguably underperformed versus their average age, or overperformed based on their ultimate percentage, but there are good reasons why both happened. The Cats really only have one key player still out of contract this year, though someone would debate calling him that – Daniel Menzel. Menzel looked at his options as a free agent last year but ultimately didn’t get any interest from around the league. While he’s a prolific goal-kicker, repeat ACL injuries have seen him lose a bit of the athleticism required to deliver good defensive pressure, and of course there’s no guarantee he stays fit. As a result Geelong were only willing to offer him a one-year deal for 2018 and will offer him the same this year, likely again at a wage well below the AFL average. Could another club look to swoop this season in the hopes of maximising Menzel’s good attributes? St Kilda have reportedly shown some interest. However I would expect the most likely result is that, as per last season, Menzel will eventually re-sign with the Cats. In terms of their 2019 contract group the obvious big priority is Tim Kelly, who is known to be interested in a return home to Western Australia. The mature-age draftee has been a revelation in 2018, immediately stepping up to the level and playing in an elite fashion, but the Cats unfortunately may lose the diamond they’ve unearthed. If there’s any hope of getting him to extend his contract then the Cats must do that as soon as possible – realistically though he seems more likely to go than stay, it’s just a matter of when. The Cats have two free agents on the market this year but don’t seem like they’d be especially cut up about losing either one of them. Daniel Menzel we’ve already talked about a bit. I suspect he stays, if he doesn’t, he probably goes for a contract that – while bigger than what the Cats will offer – won’t net them much in the way of compensation. George Horlin-Smith is the other and at this stage he looks a strong chance to move to the Gold Coast Suns in search of more opportunities. 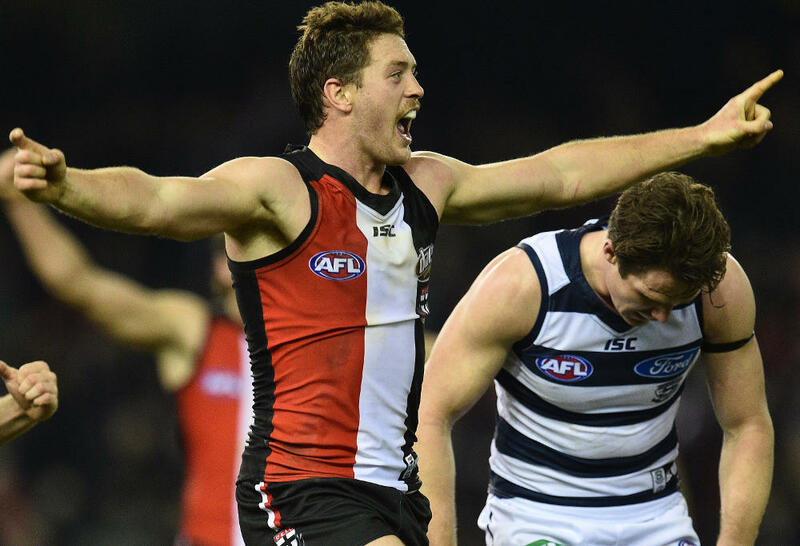 Horlin-Smith has been on the Cats’ list for eight years and played barely 50 games, mostly due simply to not being in their best side rather than injuries – so it makes sense for him to look elsewhere. In terms of free agents coming in, it’s believed to be essentially a bankable certainty that the Cats will acquire Luke Dahlhaus this year. The Cats are reportedly offering him a four-year deal worth $2 million over the length of the contract, something the Bulldogs just haven’t been willing to stump up. Dahlhaus is potentially a valuable recruit for the Cats if he can perform at a higher level than we’ve seen him do recently. Ideally the Cats would be looking to him primarily to kick goals and provide forward pressure, while also being able to contribute some midfield minutes when required. If you look back at say the 2013 season, Dahlhaus kicked 28 goals that year so we know it’s the sort of player he can be. Unfortunately he hasn’t gotten near that total since, and only kicked two goals in 2018, his lowest ever in any season. Can a change of scenery and likely also a change in role help him rediscover his most dangerous and damaging form? If so then to get him essentially for free will be a major coup for the Cats. If the potential departures of Menzel or Horlin-Smith do net the Cats any free agency compensation, it’ll likely be cancelled out by signing Dahlhaus. The big question hovering over Geelong this trade period is the future of Tim Kelly – whether or not he’ll commit to the club longterm, and if he doesn’t, whether he’s willing to stick out the second year of his draft contract before leaving. Most of the time I would say that if a player intends to leave eventually it’s probably better to trade them sooner rather than later – but Kelly is professional enough and good enough that if there’s hope of keeping him for next year, I’d do it, even if he’s leaving then. But if the Cats were to look at trading him this year then there’s a couple of options. If he wants to go to West Coast then the Cats will probably ask after either the Eagles’ future 2019 first-round pick, or, if Andrew Gaff leaves West Coast, the first-round compensation pick that the Eagles receive for his departure. Either is probably going to be unders for a player of Kelly’s quality, so they might also look for a later pick to sweeten the deal. If he wants to go to the Dockers then the ideal scenario for the Cats would be if they can trade up to Fremantle’s top-five pick this year, and land one of the best young players in the draft. 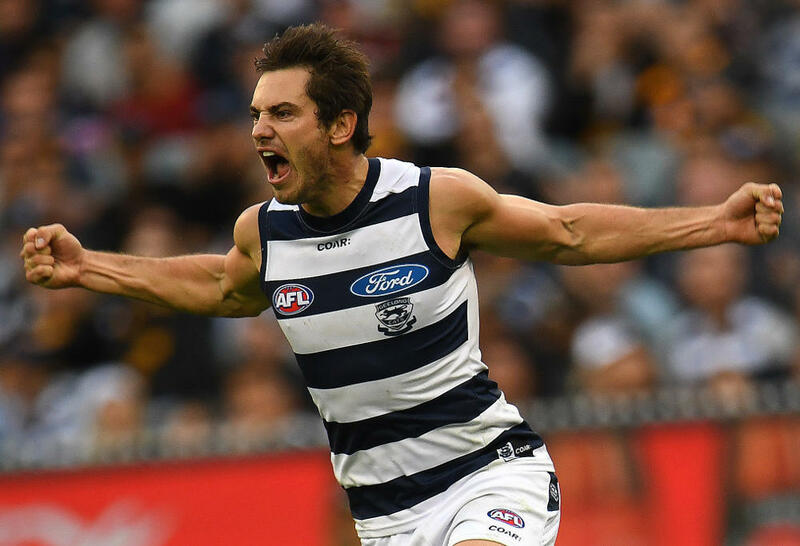 Some fans would look at a trade of 11 and Kelly for 5 as a raw deal, and on overall value it is, but the chance to get one of this year’s ‘super six’ in the door is not something the Cats should pass up. It’s hard to predict exactly how this is going to pan out but my gut says that West Coast is probably Kelly’s most likely home in the future and he’ll either be traded there this year for a first-round pick, or the Cats will hold him for 2019 and he gets traded next year instead. It would be a significant loss for the Cats given what a valuable player Kelly has been this year, and it’s clear from their list profile that they’re in the business of trying to win now – luckily, they’ve also got the potential to replace him with other talented players. One thing to clarify before we go any further: yes, Geelong’s 2018 and 2019 first-round picks are tradeable this year. The AFL’s rule that requires clubs to take two first-round selections every four years has been one of the most poorly understood ever since it was brought in, so I contacted the AFL for clarification. Since the rule was brought in during the 2015 season, it does not apply until four drafts have been completed since its introduction – so, until the 2018 draft is over, there are no restrictions. When the 2019 exchange period rolls around, the rule will be in effect, and the Cats – if they haven’t taken two first-round picks in this year’s draft – will be barred from trading either their 2019 or 2020 first-round picks, unless they replace them with another pick in the first round, or request and are granted an exception from the AFL. Of course, there’s a good chance that the Cats could gain a first-round pick for Kelly and then take two into this year’s draft and not be penalised in 2019 at all. Of more immediate importance is the fact that right now, in 2018, there are no restrictions at all on Geelong trading their 2018 or 2019 first-round picks. What this means is that they have the option of spending those picks this year to pursue mature talent to bolster their list, and a few of their potential targets are already well known. Jack Steven it was recently reported is a player whose future they have inquired about, despite him being contracted for the next two years at St Kilda. Steven would add another high-quality name to a midfield which already packs plenty and if Kelly leaves he’d be a worthy replacement, if not an upgrade. How likely is it to happen? That’s a little difficult to work out, but both Alan Richardson and Chris Scott have publicly hosed down the speculation around Steven, making a deal seem less likely. Some would argue that it makes sense for the Saints to let a player like Steven go if it gives them more picks to fuel their rebuild, but St Kilda appear to be going in the opposite direction. News yesterday that Dan Hannebery has requested a trade away from Sydney – with St Kilda believed to be his destination – seems to confirm that St Kilda want to bring mature talent in, not trade it out. As such I suspect if the Cats were going to land Steven they’d have to really make it worth St Kilda’s while, probably needing to offer up multiple first-round draft picks. Is Geelong desperate enough to do a deal like that? Time will tell but at the moment I’d say this one is more likely to fizzle out than anything else. The other player the Cats have been linked to is Gary Rohan, who looks pretty much certain to request a trade to the Cats so he can be closer to family. Although he’s contracted until the end of 2020, you’d expect the Swans will be respectful of his request and probably let him go for a reasonable price without too much fuss. The likes of Rohan and Dahlhaus can add to Geelong’s goal-kicking stocks (though neither is great at it) and Steven could bolster their midfield, but for mine Geelong’s biggest hole to fill is a ruck. They’ve already got a midfield full of elite talent but fail to make the most of it by not providing them with a durable, quality ruckman. So if they’re going to make a big move on someone this year, I think the player to target for Geelong is North Melbourne’s Todd Goldstein. The big man returned to very good form this year, is extremely durable, and would give a significant boost to the output of Geelong’s midfield. North have been open to moving him on in the past and with Braydon Preuss waiting in the wings would probably be willing to consider a deal. If the Cats could make a deal that helps North bring in Jared Polec in exchange for letting go of Goldstein, they’d have to consider it, and would probably even be willing to pay part of Goldstein’s salary. Exactly what kind of draft hand the Cats will hold by the end of the trade period this year is difficult to pin down, as there’s potentially a lot of moving parts for them this year. They could easily go in with two picks inside the top 20 – their own pick 11 and a first-round pick from West Coast for Tim Kelly – or just as easily have none. If they do have some picks in the early portion of the draft, then they face a choice between drafting players who could make an impact early, or those who are more longterm prospects. If the Cats want instant impact then pick 11 is a good spot to draft a big-bodied ready-made midfielder like Jackson Hately, who has proven himself against mature bodies in the SANFL this year. Curtis Taylor would also be someone they pick here with an eye to him playing forward and kicking goals very early in his career. If they’re after more long-term prospects, then the likes of Jye Caldwell, Ian Hill and Riley Collier-Dawkins could all be in the mix around their first pick. They might also choose to go down the route of drafting mature players again, though this will depend a bit on whether or not Carlton and Gold Coast are given pre-draft access to them. If not, then the Cats have already been linked to WAFL star Marlion Pickett, and could also look at Josh Corbett and Sam Collins out of the VFL. “Geelong aren’t dumb – they know that all eras end and they’re probably aware that there’ll be a few years of bottoming out when this one does. “If I thought that changing strategies now, knocking back players who want to come to the club and investing in the draft might prevent that, I might recommend that strategy – but Geelong have gone too far down this path to not go the whole way. 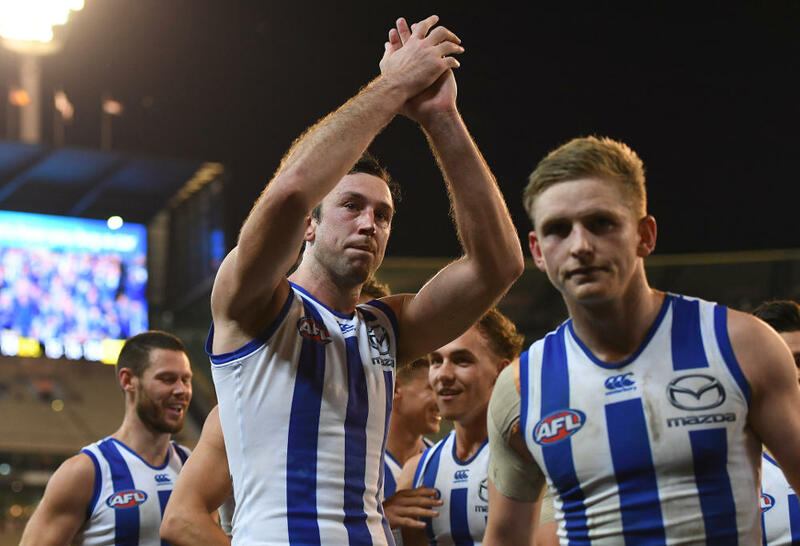 “So long as there’s elite talents like Gary Ablett and Jake Stringer wanting to come to the club they’re making the right call to double-down and see if they can squeeze one more premiership out of Joel Selwood’s career. Geelong have been a good or very good team for a long period of time meaning they’ve been consistently pushed late in the draft, and the fact this happened in a time where a number of drafts were compromised by expansion pushed them out further still. As a result they didn’t really get much of an opportunity at the draft to build what should be their core group now – they could be criticised for some of the picks they’ve made, too, but really it was always going to be hard to succeed from the position they were in. Under normal circumstances the most logical course of action would have been to accept a few years of poor performance, buckle down, hit the draft, and look to rise again early next decade. 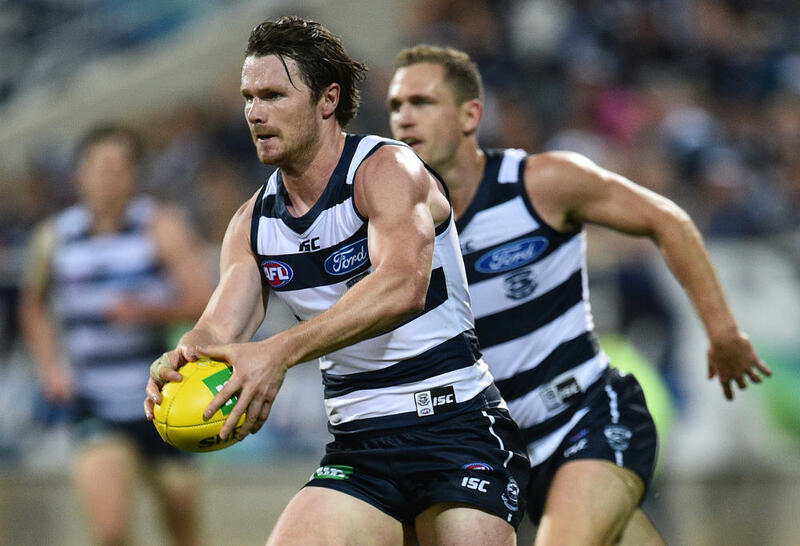 However the Cats went in the other direction, and how could they not when fate gift-wrapped them the chance to bring in Patrick Dangerfield in his prime to bolster this age group? Dangerfield’s move proved to be a bit like that of LeBron James in the sense that landing one of the league’s very best has led to the Cats designing their whole list strategy around trying to get the best results out of his talent. It triggered an avalanche of recruiting mature players – not just from other clubs, but also via the draft – with the aim of retroactively shopping together a group of players that could be the mature core of the team here and now. That’s a very hard thing to do and really, they’ve been remarkably successful at doing so given that since trading in Dangerfield they’ve made finals three years in a row and made the top-four twice. However there’s no doubting that going down this route has robbed them of the ability to recruit a strong 23-and-under group. Yes, there’s some likable names here – but to believe that they’re eventually going to be the core of a successful AFL team is living in fantasyland. There’s every chance that in five years time, Geelong’s list is in a position not unlike that of Carlton, with a good veteran or two hanging on, but otherwise nearly bankrupt of serious talent other than their most freshly-drafted youth. The Cats essentially have a choice of two roads to go down – either they hit the draft now in the hopes of mitigating the oncoming disaster as much as possible, or they double-down on their current strategy and take one last big swing at bringing in prime-age talent. While I’m usually the type to encourage prudent investment in the draft whenever possible, in the case of the Cats I’m very much in favour of the latter approach. Yes, the Cats do need to go back to the draft sooner or later – but let’s face reality here. In five years time they’re going to be among the AFL’s bottom teams. It is simply just too late to stop this. Drafting hard now could see the Cats recover from this impending collapse sooner rather than later, but if I were Geelong I’d rather do everything possible to win a flag now while the window is still just barely open. Cats fans have seen more than their fair share of success in the past decade and when the time comes surely they’ll be reasonable and accept that a few years in the lower portion of the ladder is by no means a harsh price to pay for all they’ve enjoyed since 2007. So go for broke at having one last really great day before the inevitable drop down the ladder comes. Luke Dahlhaus and Gary Rohan both have the potential to be handy recruits, but they’re not of a high enough quality to re-shape the side’s fortunes by themselves. Jack Steven would be a great get, but my priority would be landing a quality ruckman – Todd Goldstein seems the most logical target, but perhaps others will present themselves. And if at all possible, the Cats must keep Tim Kelly. If not, do the best you can to turn him into something that will have an impact in 2019. Perhaps what’s most important for Geelong this offseason is not a list-based shake up however so much as it is for the coaching staff and players to look at ways they can improve with the talent they already have. 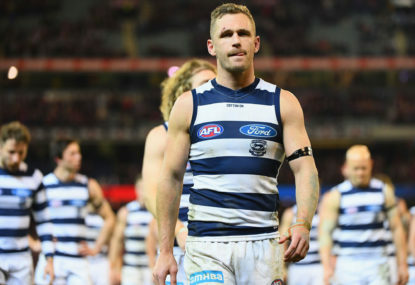 The Cats’ elimination final was, frankly, an embarrassment – to the club in general, and in particular for captain Joel Selwood. 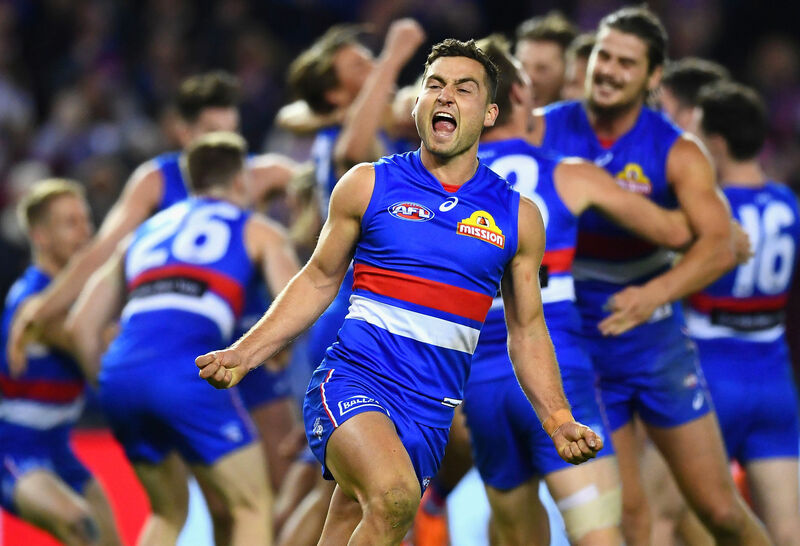 It will leave a bitter taste in their mouths and hopefully inspires them to look at what they can do to be better in 2019 – and if that leads to positive change, it may have more impact on their premiership hopes than any potential trade recruit does. The Cats disappointed this year, but it would be a mistake to think their flag chances have run out of gas. With a little luck and a lot of hard work, they can contend in 2019.